We were asked by a client in Blackheath, London to come up with a design and installation for some shutters for a window in the bathroom. The customer required maximum light into the bathroom while also having full adjustment of privacy throughout the day. We created the shutters using 4 panels across the window in a full height style. We used thick 89mm louvres to achieve maximum light entry when in the open position, with a hidden tilt rod system allowing them to be adjusted through touch rather than a rod. 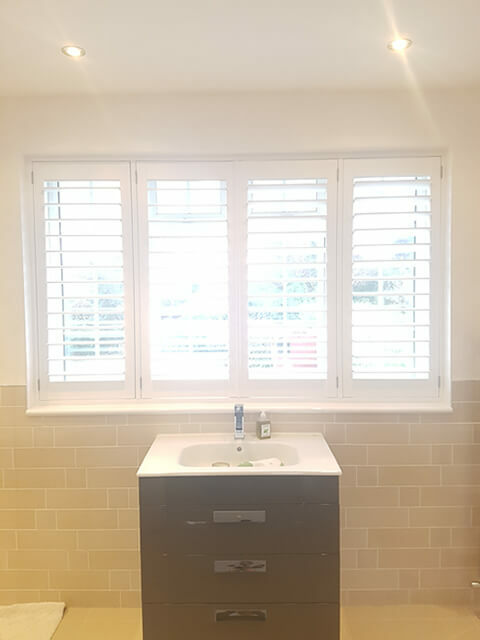 We also fitted these shutters with a hidden split in the louvres so that the top and bottom sections can be adjusted independently, but without the need for a mid-rail which would take up room and hinder light entry! 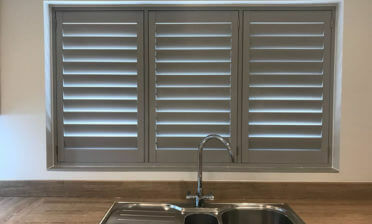 The Shutters were created using our ABS coated shutters from our Java Range which is the perfect solution for areas where water and moister will come into contact with the panels. Above the sink and operated by touch this range of shutters was a must! 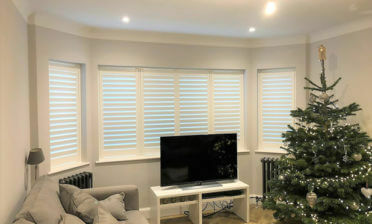 These Java shutters also come as standard with 50mm styles which provide extra stability. We also created these full height shutters with T-posts which are extra posts fitted with the main shutter frame which can be used horizontally or vertically. In this installation the T-posts allowed for the first and last panel to move fully independently from the centre panels. 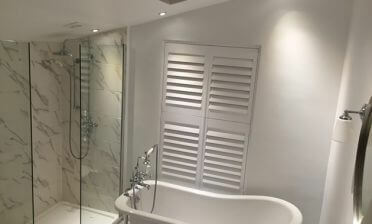 As you can see the shutters really helped to finish off this modern bathroom blending in seamlessly with the existing window and decor of the bathroom, as if they have always meant to be there!